Synchordia’s next concert will be…. 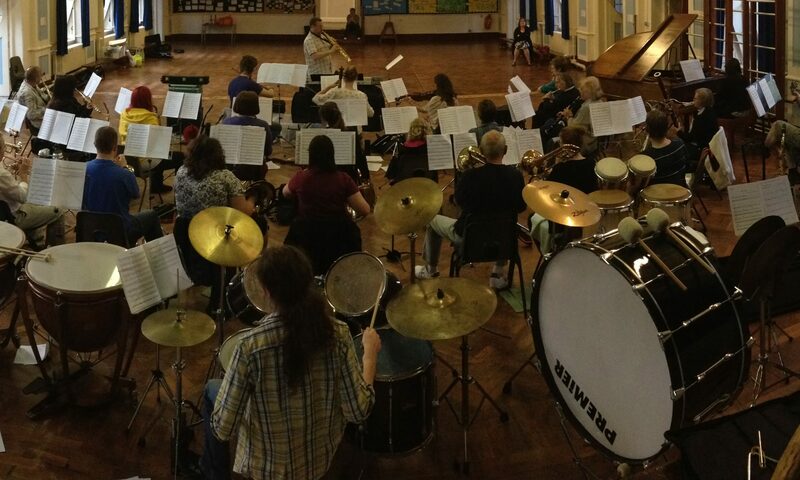 **drum roll please** Music from the ever popular Disney films. Join us in March 2015 for our annual concert this year featuring the magnificent music of Disney… from the furry friendly folks at Monsters Inc. to the swashbuckling Pirates of the Caribbean and (many, many more) Disney favourites. In previous years we have been joined by another group or ensemble… This year, we début the Synchordia Brass, directed by our very own trumpeter Patrick Mitchell, and welcome the return of the Synchordia Saxes who have played their very own gigs since we last saw them in our 2014 concert when they brought us ‘Someone To Watch Over You’. 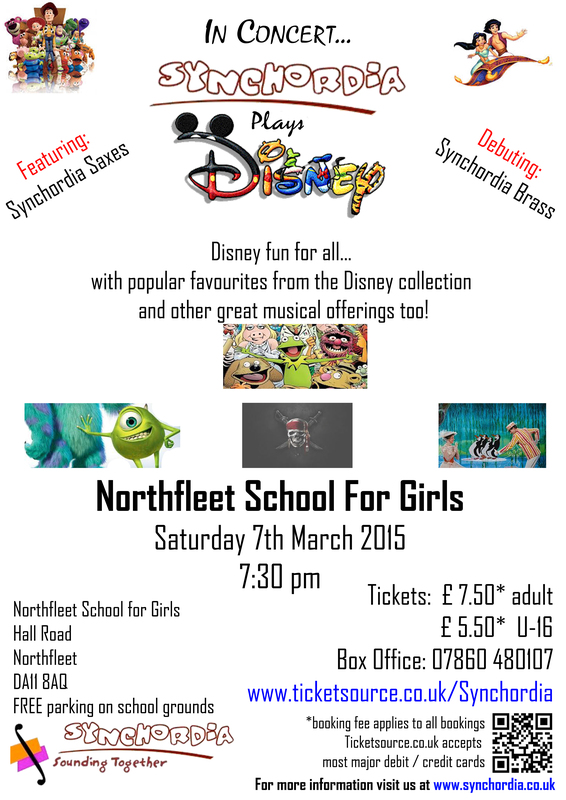 This year’s concert also takes place in a brand new venue for us, Northfleet School for Girls, which offers us a new and unique challenge to rise to! So we hope to see you there *directions available below* to help us dive into the wonderful world of Disney. This means that not only can you buy your tickets on-line in a quick and easy fashion, but Synchordia now accepts most Major Debit and Credit Cards! *booking fee applies. Ticketsource.co.uk accepts most Major Debit / Credit cards. Please visit www.ticketsource.co.uk/Synchordia for the details.